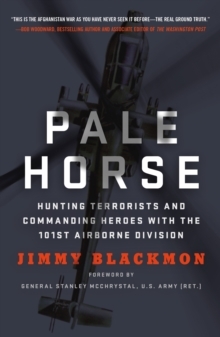 Now in paperback, Pale Horse is the remarkable never-before-told true story of an army aviation task force during combat in the Afghan War, told by the commanding officer who was there. 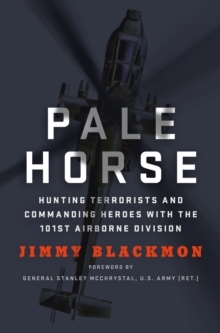 Set in the very valleys where the attacks of 9/11 were conceived, and where ten Medals of Honor have been earned since that fateful day the war began, the narrative races from ferocious firefights and bravery in battle to the quiet moments where the courageous men and women of Task Force Pale Horse catch their breath before they take to the skies again. Jimmy F. Blackmon writes with a power and hard-hitting honesty that leaps off the page. He has the respect of the men and women of his brigade, and a command of the narrative to tell their story. From pilots of lethal Apache attack helicopters who strike fear in their enemies to the medevac soldiers who risk their lives daily, these are warriors from a variety of backgrounds who learned selflessness and found the closest brotherhood they ever knew through the crucible of war. Pale Horse both honors and commemorates the service of this elite task force from the unique vantage point of the commander who led them in battle.